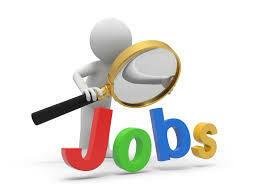 The Zila Panchayat Chhattisgarh gives recruitments every year. So, the candidates can check this board every year to apply. The Chattisgarh give a recruitment to recruit Skilled and Dynamic persons to fill the Vacancies of 2471 lecturer posts on or before 12th August 2017. A lot of Applicants had been received by the Officials. They are going to recruit the Candidates in two ways. One is Written and another one is Interview. As a lot of Applications are there Most of the Candidates will get eliminated in Written Itself. The Links of Zila Panchayat Chattisgarh Recruitment Notification are provided at the Bottom. The Candidates can open and apply online. This also redirects to the Original page. Candidates can search For more State Government Jobs and apply here. Here you will find all the details in the table format. So get the more details on our Official website. If you did not get it properly. So who is showing interest attend the interview as per the venue was given. The Candidates issued a recruitment earlier to recruit them through the Written and Interview. So, the Candidates can open the Notification and can have the Full detailed information. Candidates can check the Age relaxation, Educational Qualification etc all those. If the Candidates are eligible they can open and can fill the Application. They can select the post in the Required Districts given below. If the Candidates can pay a fee and once again check the details completely. The Candidates who pass the Written will be called for Interview. If the Candidates can score Cut-Off marks in both the Tests he will be called for the Job in Chattisgarh and will be placed in the Quarters. To Download and get the Admit Cards also here. Applicants need to possess the Post graduation from any recognized organization/institute/university in India. Check the official recruitment notification before proceeding further into the recruitment. For Age Limit information check the Official recruitment notification which we have linked down at the end of the article. Candidates have to pay Rs. 350/-, if they are from Unreserved categories, Rs.250/- for OBC category contenders, If the applicants are from SC/ ST/ PH they need to pay Rs.200/- through SBI Challan OR Online. Before paying the fee we suggest the aspirants, to check the official website and Official Recruitment notification. Candidates need to attend the Written Test, Personal Interview. After going through the performance the organization will release a merit list. Visit the Official site of the Zila Panchayat Chattisgarh at www.cgpanchayat.gov.in. Search for the Zila Panchayat Chattisgarh Recruitment 2017 Notification for 2471 Lecturer Vacancies/ Get it from this page. Go through the information carefully/ Check the data on this page as we updated all of them here clearly. If eligible download the application form by going into the application form sector. fill the application with all the required information. Recheck the data in the application.